Grab a board, the water is just right.The Valley of the Latte Adventure Park offers a fun and relatively easy Stand-up Paddle Board experience. 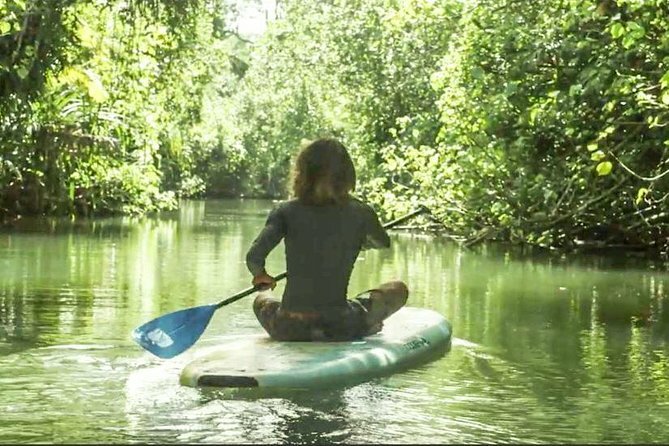 Paddle serenely through the flat waters of Talofofo and Ugum Rivers. The Stand-up Paddle Boarding adventure is a great way to relax and enjoy the islands tranquil and vibrant ambiance.In order to provide the highest levels of Adventure, please book your Stand Up Paddle Boarding Experience 48 hours in advance.